How to make foundation at home from scratch? In this post, you will learn how to make matte foundation at home, thus you will learn how to make makeup at home easy. This diy mineral foundation recipe will make a matte homemade mineral foundation powder which is light and covers perfectly. How to make Foundation At Home Naturally? The skin is our largest organ and deserves the best. Most make-up products are filled with harmful substances which may be absorbed by the skin or speed up the aging process. This is why I came up with an idea of making my own skin care products. However, starting with natural homemade makeup recipes was not easy as I did not like the performance of most of them. I have tried many diy foundation powder recipes including 100% food-based homemade makeup recipes with a disappointing performance. While 100% natural and food-based homemade makeup recipes would be the best (if they work for your skin type), mineral make-up is the next good alternative to conventional make-up products filled with talc and other undesirable ingredients. Making your own diy makeup products is cost-effective in the long term and you will know exactly what is in them. 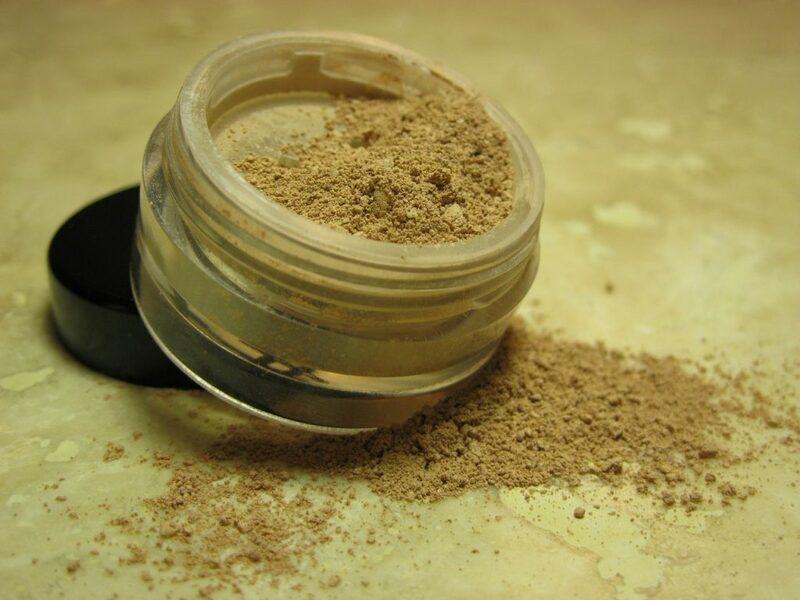 This homemade mineral foundation powder never expires, so this is another huge advantage! Now, let’s learn how to make foundation at home from scratch making this homemade mineral foundation powder using this awesome diy mineral foundation recipe. What is Titanium dioxide? Titanium dioxide is a metal commonly found in plants and animals. Titanium dioxide works as a sunscreen because it blocks the absorption of UV rays that can cause a sunburn. Titanium dioxide is a fine, bright, white powder. It is produced in two main forms: pigment-grade and ultrafine-grade (nanoscale). Nanoscale titanium dioxide can be absorbed via skin and thus can affect the health negatively. I would buy the pigment-grade titanium dioxide for this homemade mineral foundation recipe to avoid the absorption of the titanium dioxide into the skin. If you want to omit titanium dioxide from the recipe, you can try adding more Zinc oxide instead of Titanium dioxide. Do not use metal equipment when handling Bentonite clay when making this homemade mineral foundation powder, as the Bentonite Clay should not come in contact with metals because it reacts with them, which we don’t want. It’s okay to use stainless steel though. The non-nano, uncoated Zinc oxide is the best kind to get so that your skin doesn’t absorb the zinc oxide. Avoid nanoscale Zinc oxide. This homemade mineral foundation powder never goes bad when stored properly away from heat and moisture. You can make a lot of make-up when you figure out your own shade and you will never have to buy another foundation again! Isn’t it exciting?! If the foundation seems too light for you, add more brown oxide. If the foundation seems too yellow for you add more red oxide. If the foundation seems too pink for you add more yellow oxide. If you want a shimmery foundation, use pearl mica instead of serecite mica. Adjust the color slowly till you get the desired shade. Yellow iron oxide – 4 tsp. Put all the ingredients except serecite mica to a blender jar or a glass jar with a lid. Blend or shake vigorously. Then add the serecite mica and blend or shake well again. Check the color and adjust as needed. Scoop your homemade mineral foundation into jars and enjoy! Yellow iron oxide – 4 1/2 tsp. Yellow iron oxide – 7 1/2 tsp. Yellow iron oxide – 3 Tbsp.